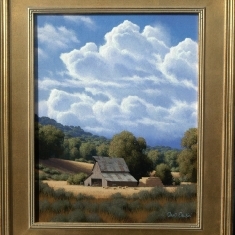 David Dalton was born in Pontiac, Michigan in 1952. 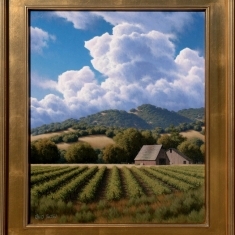 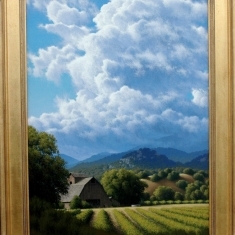 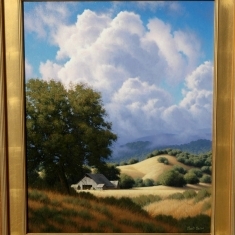 He grew up in California's Santa Clara valley in an artistic environment. 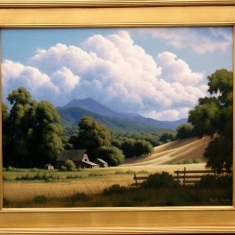 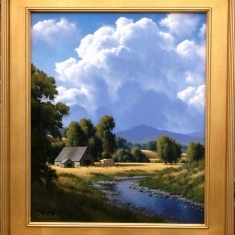 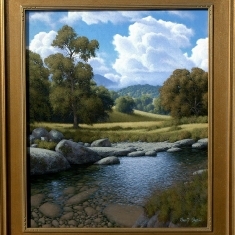 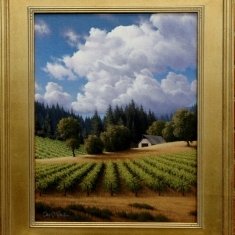 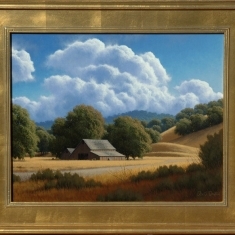 His father, renowned artist, Lee Truax Dalton, taught David to draw, and David would watch his father paint.Dalton graduated from the University of California, Santa Cruz, in 1977. 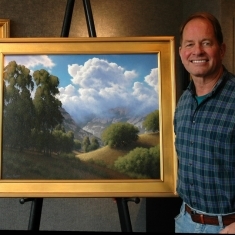 During his time as a college student, he would work after class doing artwork on surfboards at the local board manufacturer. 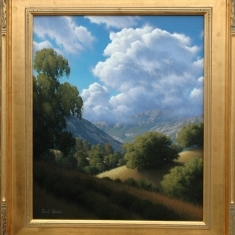 During a weekend visit to Carmel, David was particularly impressed by the exciting depictions of waves painted by California artist Alexander Dzigurski.After college, Dalton began teaching during the day, and painting at night. 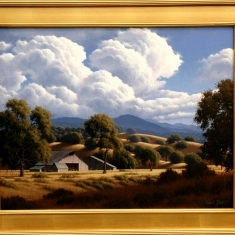 In 1978, he was able to begin painting full time, his work promoted by a prominent Los Angeles art gallery. 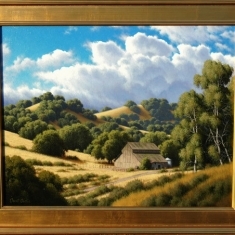 He currently resides with his wife in the small Sierra foothill town of Coarsegold, California. 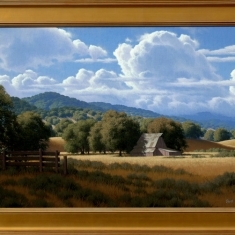 In the first decade of his painting career, Dalton specialized in oceans scenes. 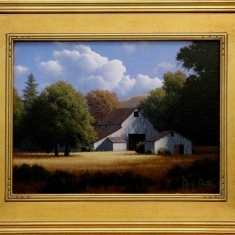 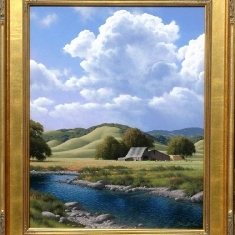 But his eye caught the beauty of the classic California landscape and he began to add scenes of oak shaded barns nestled into gentle rolling hillsides. 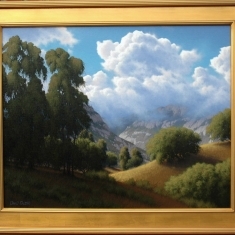 The grandeur of the National Parks of the West were among his favorite subjects.Seascape or landscape, Dalton's paintings are characterized by astounding detail. 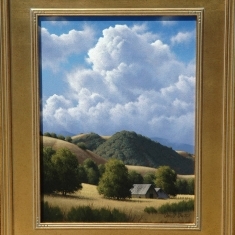 Yet, the artist says he is more concerned with composition and the overall effect, rather than just dazzling the viewer with detail. 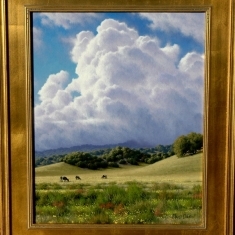 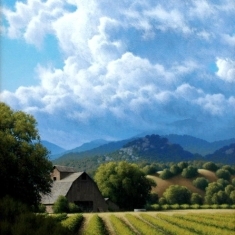 Over the years his award winning paintings have earned him the respect of being named one of California's foremost land ans seascape artists.